After an initial career in music and theatre with the Royal Manchester College of Music and the Welsh National Opera, I qualified as a Cardio Thoracic Nurse at Brompton Hospital, London. I then became Head of School at both Glan Clwyd hospital and Ysbyty Gwynedd. I have an Advanced Diploma in Adult Education. I restarted the Menai Bridge Civic Society with a group of friends and was then asked to take on the ‘project manager’ role for the conservation of buildings and in particular the waterfront in the town. Following a community consultation, the Menai Bridge waterfront protection group was founded and in 1997 it became the registered limited company, Menai Bridge Community Heritage Trust. I was brought up in Newport, south Wales and studied history at Aberystwyth and Manchester Metropolitan Universities. I managed libraries in Newport before moving to Rochdale, Greater Manchester where I ran the local archives service. I was responsible for cultural services and tourism in Rochdale when the new lottery funded museum and art gallery opened in 2001. I have written several books on local and social history including Conflict and Co-operation, Down Poorhouse Lane and Suspicions Deaths in Rochdale (!). I produced a number of historically orientated films and videos before relocating with my wife Sue to Anglesey. I have since been involved in community archives and joined Menai Bridge Community Heritage Trust in 2015. My interests include historical research, walking, jazz and American comic books. As a Chartered Civil Engineer, Chartered Environmentalist and former Director of Highways for Gwynedd, I have been interested in the Menai bridges for many years. My current activities include raising awareness of the importance and sustainability of infrastructure heritage and assisting the education sector to acknowledge the contribution of engineering to modern society. I am a graduate in Civil and Structural Engineering from Sheffield University and a Chartered Civil Engineer. I have spent my whole working life with local authorities, the first 25 years in Highway Design and Management in both England and Wales, then, briefly in general Municipal Engineering. For the last 12 years I have been involved, on a part time basis, in Coastal Defence works. I was introduced to Anglesey in the late 1960s by my wife, an Anglesey girl, and my fascination and admiration for the bridges dates from then. I have sailed and raced on the Menai Straits for the last 15 years and moved to live on the Island in 2010. I am a chartered civil engineer with a degree in Civil Engineering, originally from Pen Llŷn but living in Bangor for the past 34 years. My background is mainly in the water industry but I have also worked on highways and structures. 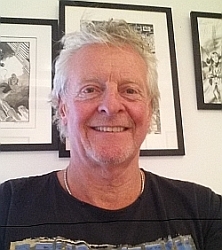 I worked for nearly 40 years on schemes in England and Scotland but mainly in North Wales and since retiring, my life is busy with grandfather duties and other voluntary work. I joined Menai Heritage as a volunteer and then a trustee since I am a great admirer of engineers like Telford and Stephenson and the innovative work they carried out in an era without the technological advantages we have today. I am also keen to share the awareness of the heritage that we are so fortunate to be part of in the area we live in. 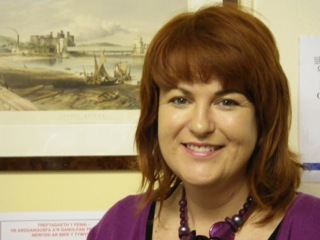 I am currently employed as Programme Area Manager for Travel & Tourism at Coleg Llandrillo. I am a graduate of History and Welsh History from Bangor University. I worked for the Wales Tourist Board in London and Cardiff before returning to North Wales in the early 1990s. I am currently a Board member with the Tourism Partnership North Wales and the Anglesey Tourism Association. I am a qualified Wales Blue Badge Guide and I enjoy working with the cruise ships coming into Holyhead. In my spare time I enjoy visiting Italy where my brother lives and meeting up with friends. I have been a Trustee since 2008. I was born and raised in Ohio, USA, but have been living on Anglesey since 1992. 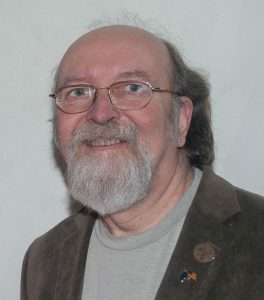 I was originally a researcher and lecturer in biology, ecology and palaeontology, but later moved to developing scientific computer software. After moving to Anglesey I soon set about exploring its history and landscape. 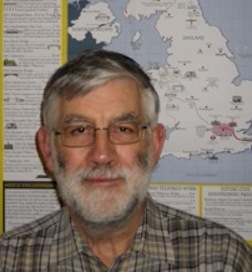 I developed the popular Anglesey-History.co.uk website, and have written the books Anglesey Through Time, and Anglesey in 50 Buildings, published by Amberley Publishing. 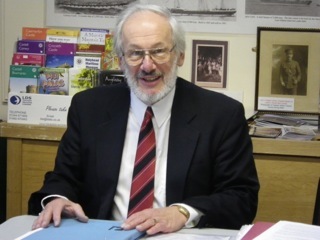 I became a trustee of Menai Heritage in 2013. I initially trained as a Theatre Director and Stage Manager and my long career in the arts media taught me the value of understanding and enjoying our cultural heritage. Then I worked in equality and diversity as a Community Development Officer for Stonewall Cymru, and later for the North Wales Equality Network. I was a volunteer with Menai Heritage in 2018, I have enjoyed talking to visitors about the two bridges artefacts and the stories of their impact on our way of life. 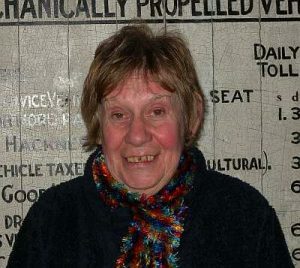 I became a Trustee in 2010. I moved to North West Wales in 1991, with a young family and a job in natural resource conservation. 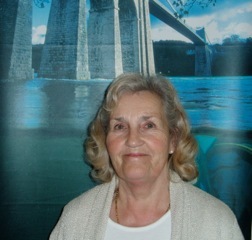 I trained as a tourist guide with Menai Heritage and have helped the Trust with events and promotion. I am keen to see engineering achievements celebrated. Our two spectacular bridges and the heritage and natural features along the Menai Strait, are part of our Island’s history. I became Chair of the Trust in November 2016. I am originally from Liverpool. 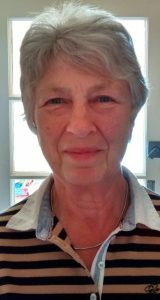 After obtaining a degree in physics, I worked for the Soil Survey of England and Wales setting up a soil physics laboratory and undertook research leading to an M.Phil. After working in Iran on a large irrigation project and then doing a postgraduate course in Soil and Water Engineering, I worked for 11 years in East Africa, mostly for charities. In 1987, I took up a post in the Centre for Arid Zone Studies at Bangor University, travelling extensively to developing countries. I retired from the university in 2006 and worked overseas again for several years. I have been a volunteer with Menai Heritage since 2010 and from 2012 to 2017 was responsible for documentation and taking a lead in the care and management of the museum’s collection.